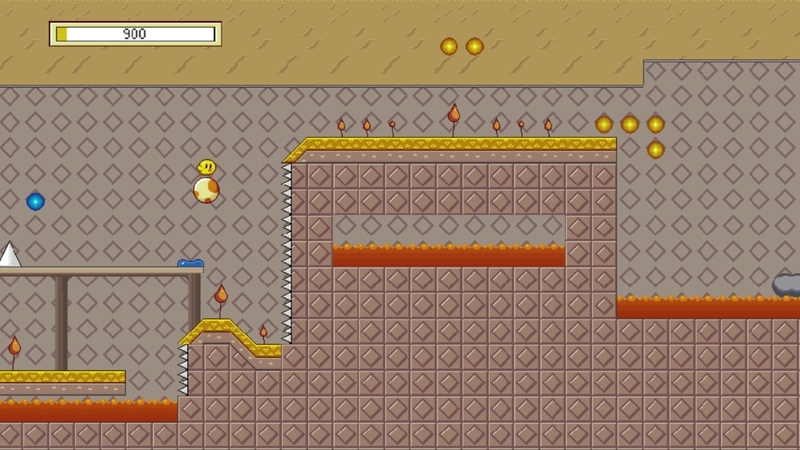 The gameplay is a runner, and you’re in control of when Eba and the Egg jump. Pressing ‘B’ causes Eba to jump, the ‘A’ button is for the egg, and to jump with them together, press ‘A’ when Eba’s on the Egg. There are seven worlds to play through: Red Woods, Starry Plains, Jelly Springs, Frosty Forest, Dusty Sunset, Egg Coast and Cloudy Highlands. Through the levels, which progressively grow harder, there are many obstacles: spikes, lava, water etc. 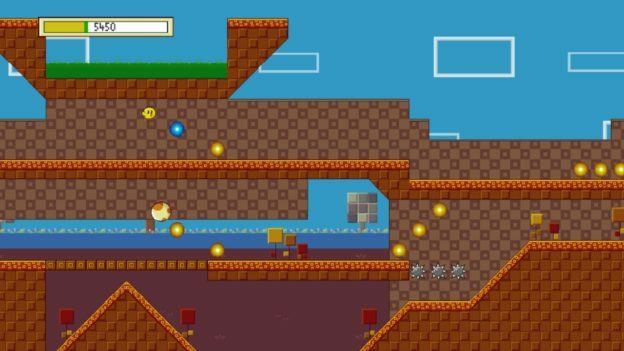 To help you progress, and avoid obstacles, are many moving platforms, clouds, blue jelly or simply jumping! There are usually two or three pathways you can choose to run down. However, sometimes you don’t have a choice because you’ll die if you don’t go a certain way. 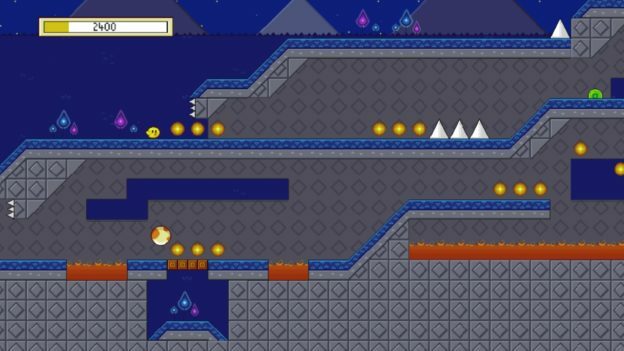 There are also nests that serve as checkpoints and a nest signifying the end of the level. At the end of a level, you’ll receive a score and a ranking; ‘S’ is the highest. One of the features I enjoy in Eba & Egg is the ‘plot’, which you can only find in the digital game manual – it is quite funny and cute. Also, all the worlds have good music and cute design. I enjoy Jelly Springs most, because it has the best music and design to me. On a more negative note, I don’t like Frosty Forest; its levels were very glitchy, making it barely playable. I also wished that the game had a two-player option for more variety and that, when completing a level, it didn’t end so abruptly. 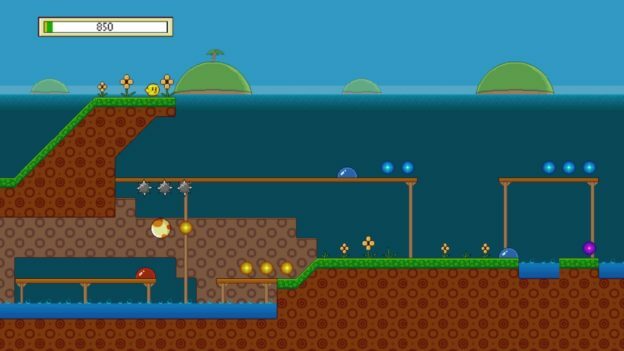 Overall, Eba & Egg: A Hatch Trip showcases an interesting way to play with two adorable characters at once. If you are a fan of arcade games you will enjoy this one and find it to be worth the price of $4.99. 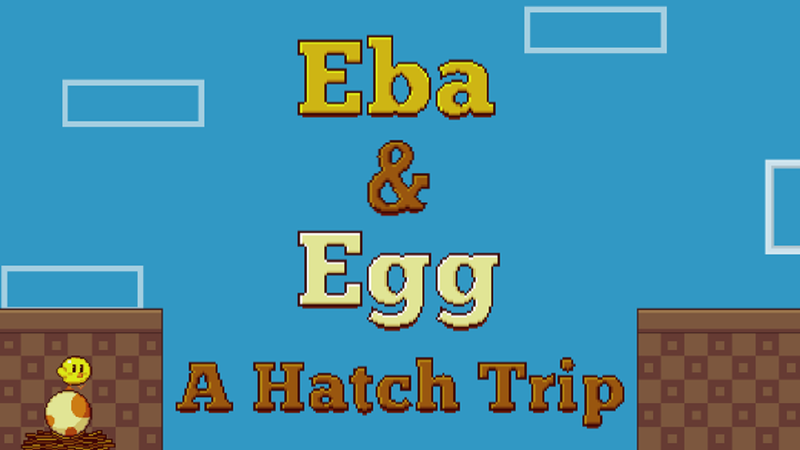 Overall, Eba & Egg: A Hatch Trip showcases an interesting way to play with two adorable characters at once.